Scores of homes in Richwood, West Virginia, were either destroyed or damaged by floods in June 2016. While no one died in Richwood, 23 people were killed across the state. 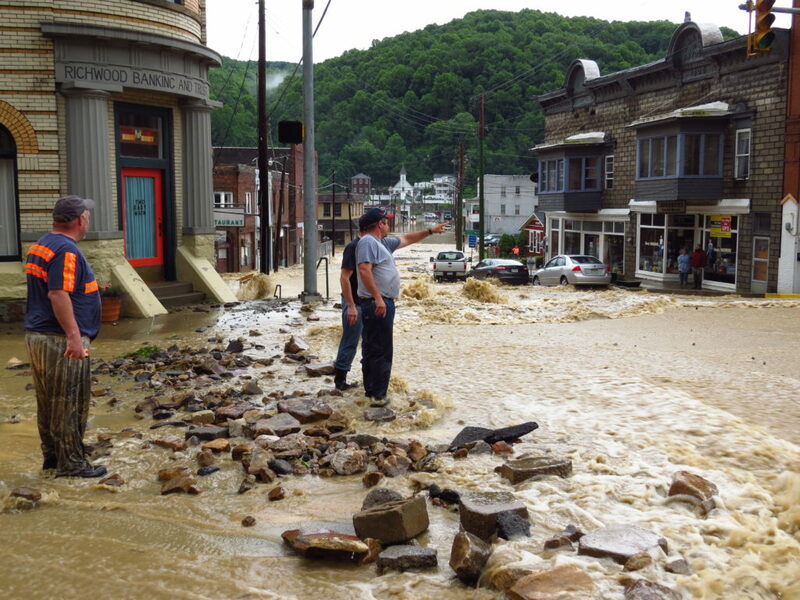 In the months since tiny Richwood, West Virginia, saw its worst flood last year, residents have been trying to clean up and recover their losses. But the town now faces losing what many consider to be the heart of the community – its top-ranked high school and adjacent middle school. Under a relocation and consolidation plan, approved in March by the Nicholas County Board of Education, students would have to travel nearly 30 miles, over curvy mountain roads, to a complex of five schools in Summersville because Federal Emergency Management Agency funding does not require damaged facilities to be rebuilt in the same place – or even the same community. The funding comes through a pilot program created after Hurricane Sandy hit the East Coast in 2012. 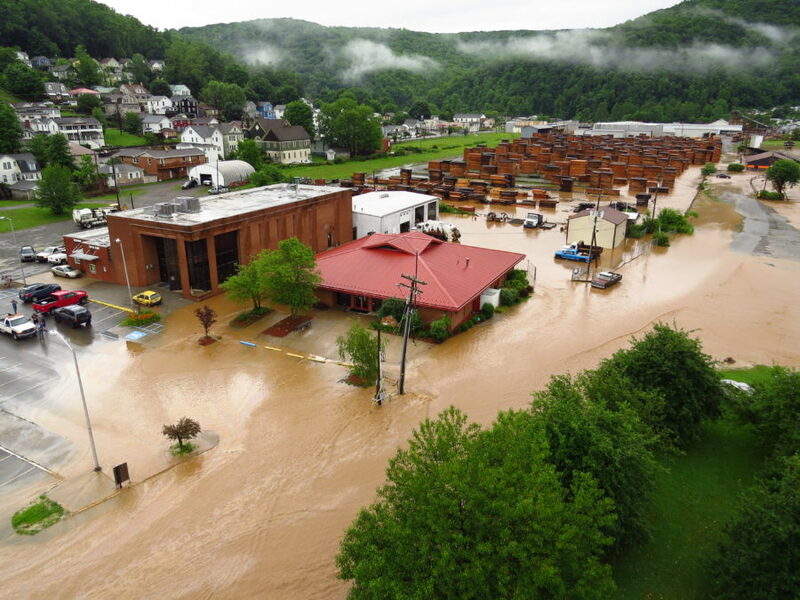 The schools were damaged after nearly 9 inches of rain fell in a brief period across 12 West Virginia counties last June, killing 23 people. No one died in Richwood, but 80 homes were destroyed and 100 were damaged, said Richwood Mayor Bob Henry Baber. The Public Assistance Alternative Procedures pilot program, was enacted as part of the 2013 Sandy Recovery Improvement Act. It was created to expedite recovery and save money by paying an upfront lump sum, but not cost overruns. A pending federal civil rights case in New York alleges the program prevented a hospital, demolished by Hurricane Sandy, from being rebuilt because it allowed FEMA to fund another hospital’s expansion 7 miles away. The Nicholas County school consolidation and the New York hospital expansion are two of 16 projects that cost more than $50 million under this pilot program. The school consolidation would cost an estimated $130 million. While recovery experts support the attempt to save FEMA money, disaster-impacted communities have found their vital public institutions relocated without residents being given an opportunity to voice concerns or, in some cases, explanation of FEMA’s alternative procedures. While negotiating relocation contracts with governments and nonprofits, FEMA does not allow public comment. Richwood High School is recognized as one of the best in the state, even though 66 percent of the 388 students are economically disadvantaged. Its marching band, the Lumberjack Express, has performed across the country, including at the Kentucky Derby and Disney World. 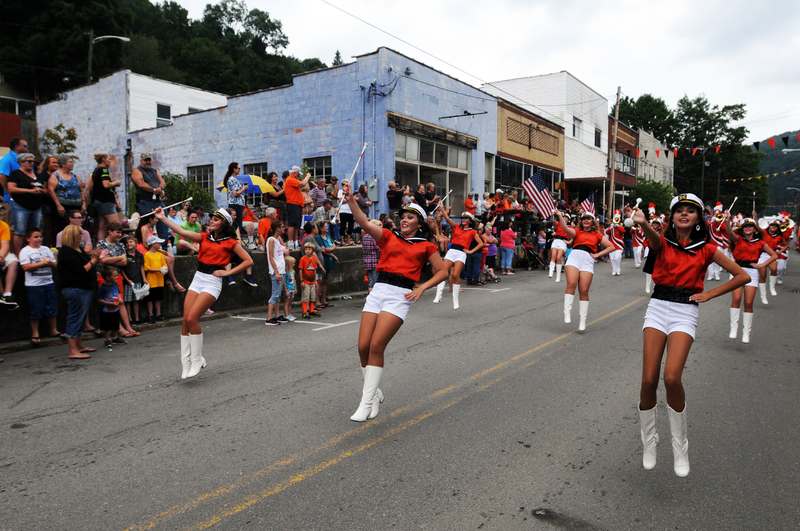 Richwood High School’s marching band, the Lumberjack Express, is the pride of the 2,000-person town. Former and current students have argued online and at public meetings to keep the schools in Richwood. Immediately after the flood, Nicholas County Board of Education President Gus Penix hired a company to clean up the Richwood schools, as he had done after a flood in November 2003. But the board learned that FEMA would not fund repair of the schools as it had in 2003 because they are in the floodway. Middle and high school students were transferred to two Richwood elementary schools, where temporary classrooms were added. In response to a request for relocation sites by the school district, at least six sites in or near Richwood, including two lumber yards and a farm, were suggested by local residents and supporters of the school, former board member Barb Taylor said. But the board did not say which sites were studied by its engineer, or the study results. None are in a floodplain. The most recent report on the consolidation states it will provide a greater variety of classes and save money in a cash-strapped district with declining population. FEMA began the recovery process in late July with a meeting with school officials who were given information on every available program, said Scott Carr, a FEMA official working in West Virginia. However, correspondence with FEMA shows the board quickly decided to relocate the Richwood schools. Richwood, West Virginia, residents figure out next steps on June 23, 2016, after their tiny town was devastated by flooding. On Sept. 2, Carr emailed Superintendent Donna Burge-Tetrick, “After a long internal discussion we have identified an opportunity for Nicholas County Schools to excel. Light years from the other schools and the state,” he wrote. On Sept. 9, the board of education requested relocation of the Richwood schools from the director of the state Division of Homeland Security and Emergency Management, according to a FEMA Region 3 spokesman. Richwood residents knew nothing about these negotiations. Instead they packed public hearings in March on consolidation and wrote hundreds of letters to state and federal officials. “The process in West Virginia has been quite frustrating,” said former Richwood Mayor Jeromy Rose, who headed the team in charge of “all aspects of recovery,” except schools. Richwood residents brought a lawsuit filed Feb. 15 against the board of education, alleging that it violated open meeting laws by not publicly disclosing their consideration of consolidation last fall, and use of the alternative procedures pilot program. The judge in that case blocked demolition of the Richwood schools. If consolidation moves forward, Richwood residents say they will file an environmental justice lawsuit. Richwood’s consolidation struggle echoes a federal civil rights case filed last year in New York. Long Beach Medical Center on Long Island was destroyed in 2012 by Hurricane Sandy. But instead of rebuilding the hospital, about $154 million in FEMA funds will be used mostly to expand the South Nassau Communities Hospital, a successor in the Long Beach 2014 bankruptcy, 7 miles away, on the mainland. The 162-bed Long Beach hospital will replaced by a $40 million three-story medical pavilion. Long Beach lost 1,200 jobs and half the primary care doctors when the hospital closed, Dr. Martin Gruber, a plaintiff, said. Long Beach is a barrier island, with one drawbridge on the direct route to South Nassau. Sixteen percent of Long Beach residents are 65 or older, and many don’t drive. They need a hospital near their homes, Gruber said. A smaller hospital would be profitable and provide all necessary services, which the medical pavilion would not, plaintiffs said. Similar to the secrecy in Richwood, Long Beach residents did not know for several years that FEMA and South Nassau had agreed to funnel funding into the expansion. Francis McQuade, their attorney, argues that FEMA has not required the applicant, South Nassau, to determine the public welfare impact of the loss of the hospital. This story was edited by Jennifer LaFleur and copy edited by Nadia Wynter. Penny Loeb can be reached at cfdodge@msn.com. Follow her on Twitter: @tutalibi.